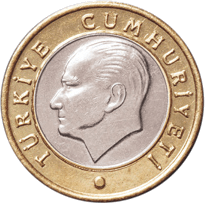 The Turkish lira (Currency sign: (until 1 March 2012: TL); Turkish: Türk lirası; ISO 4217: TRY) is the currency of Turkey and the Turkish Republic of Northern Cyprus (recognised only by Turkey). 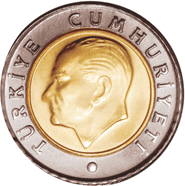 The Turkish lira is subdivided into 100 kuruş. 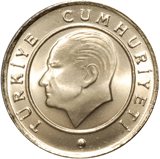 Turkish lira Facts for Kids. Kiddle Encyclopedia.